For the city, see Suong. 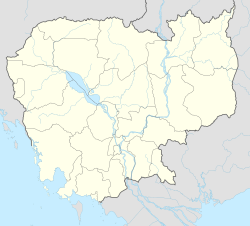 Krong Suong District (Khmer: ក្រុងសួង) is a district (srok) of Tboung Khmum Province, Cambodia. ^ "Index Map2-25. Districts and Communes in Tboung Khmum Province" (PDF). National Institute of Statistics, Ministry of Planning (Cambodia). 2013-12-31. This page was last edited on 27 October 2018, at 05:52 (UTC).